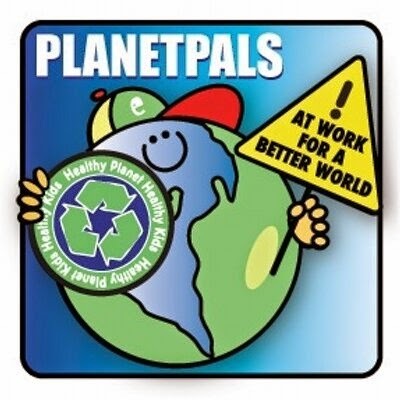 At Planetpals we gobble up great ideas to help you have a greener and more thankful holiday, this year is no different. If you are looking for a fun activity for Thanksgiving try out this Thankful Turkey! It's the perfect activity with kids. Just Color, cut, assemble. Children can make their own Thankful Turkey - listing on each feather all the things they are thankful for. Lastly, assemble it and spend the day admiring all the special things that bring thanks! 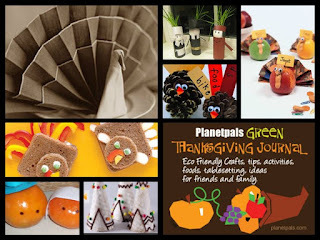 Lastly, learn all kinds of eco friendly and fun Thanksgiving tips, tricks and crafts - on Planetpals Thanksgiving Journal. Always Remember the 4 "R"s. Reduce, Reuse, Recycle, Repair! 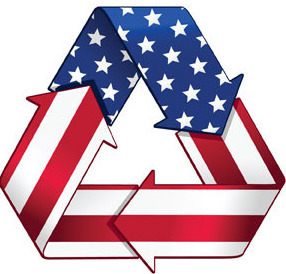 Did you know millions of people take part in America Recycles Day throught the USA alone? 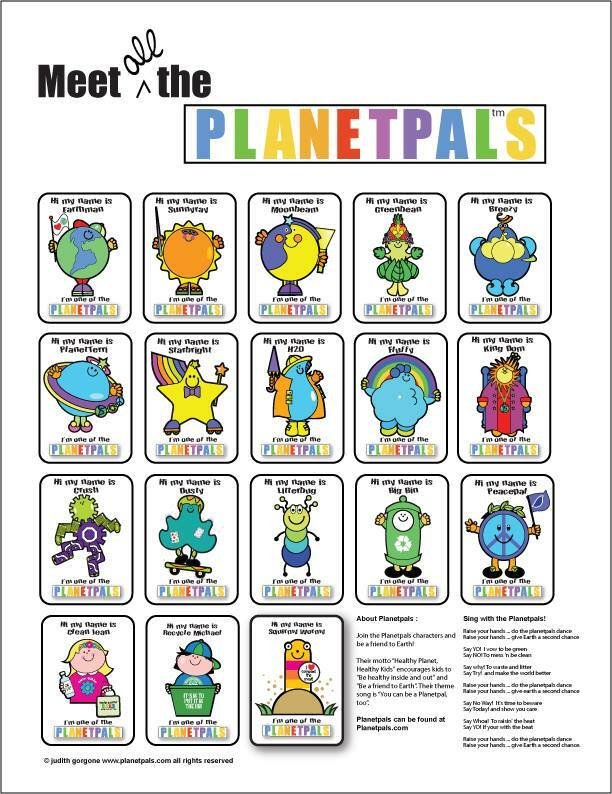 No wonder it is one of Planetpals most favorite holidays at Planetpals.com! We hope the whole world is focussing on Recycling by now on this day and everyday! To inspire you this America Recycles Day check out the America Recycles Day Page loaded with handy helpers for you and your kids to learn about recycling and aid you in spreading the word. Each one educational and fun. 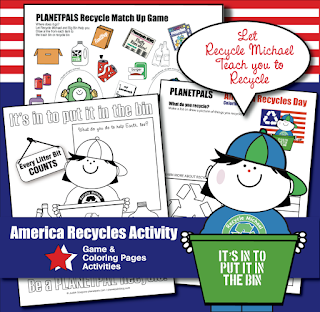 You can solve the recycle puzzle, learn from the recycle lesson, construct the recycle chart, more! These are just a few of the handy helpers available from us for you, your family or classroom. Get ready to learn what you can do or perhaps do better. What better way to teach kids to eat healthy, than showing them the ingredients that are healthy! A healthy lifestyle includes healthy eating and exercise. 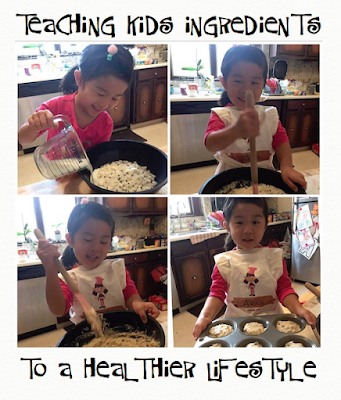 Kids can learn at an early age how to have a healthier lifestyle and prepare foods themselves. In a world full of fast food options and eating out, it becomes more important that we give children the tools to learn how simple it is to actually cook for yourself. 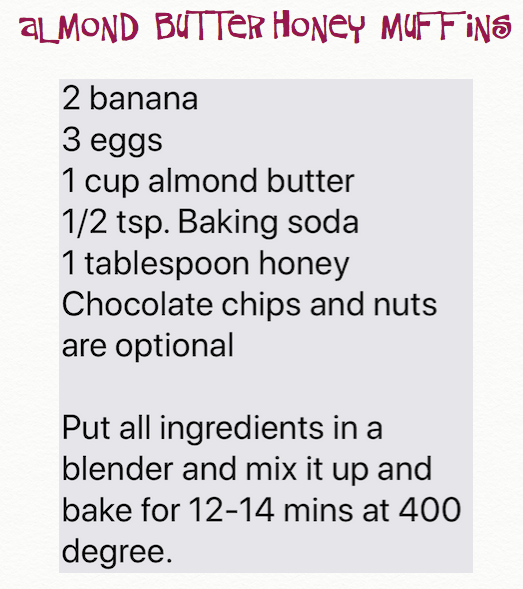 You can make it playfull with happy faces or just make it wholeful and healthy. 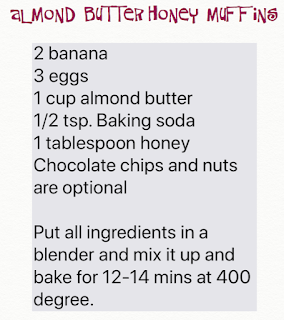 This morning my neighbors two children brought over flour free muffins that they baked for breakfast. Not only did they learn this lesson but they learned to share with and care for others. Thanks kids...they were not only healthy but festive and yummy! 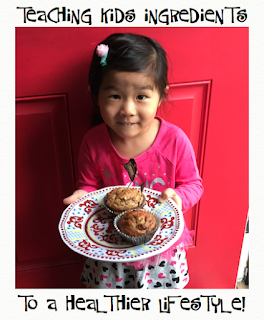 Alexis offers healthy muffins adorned with holiday flags! Stage Is Set For A Funtastic Recycle Reading Craft! 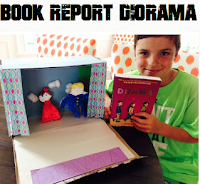 Recycle a box and make a diorama to stage a scene from your next book report assignment. 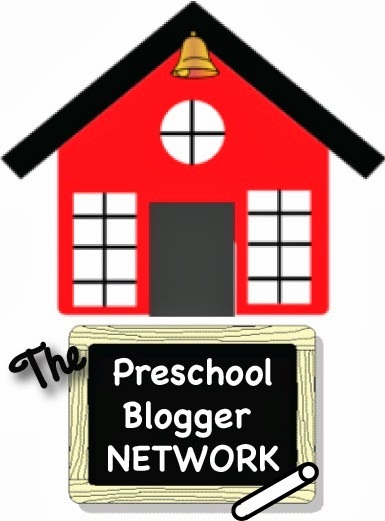 Whether you are a teacher or homeschool mom, this is a great project to help your kids get more out of their next book. Make it as a school assignment, homework or reading play. It encourages creativity and takes the reading to another level. Did I say it teaches Reuse and recycle, too? Here, Chris illustrated a scene for his book report with a box, some paper rolls and pieces of paper and cloth. He did a great job, don't you think! The Best Way To Play On EARTH! 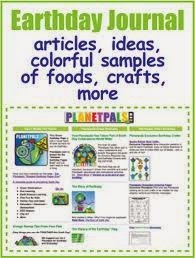 A world full of new activities for school, home, homeschool at our latest Store! Earthday, America Recycles Day, Peace Day or Just Any Day Planetpals Eco Friendly Activities Encourage Kids have Fun While Learning About Healthy Living! 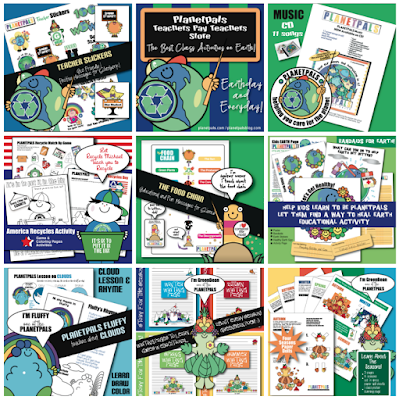 Planetpals adorable characters, Earth friendly messages and cute characters are the most unique way to teach kids about their world. Each character engages them with humor and fun facts and encourages stewardship, caring and responsibility. Now you can take their unique engagements home and to the classroom with a new world full of new activities for school, home, homeschool are available at our latest shop on TeacherPayTeachers. 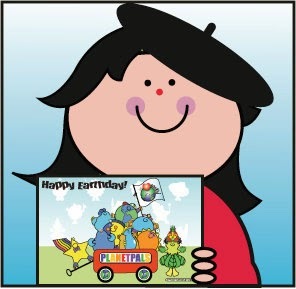 Stop by and find an activity for Any Holiday or Any Day...make it a Greener day!